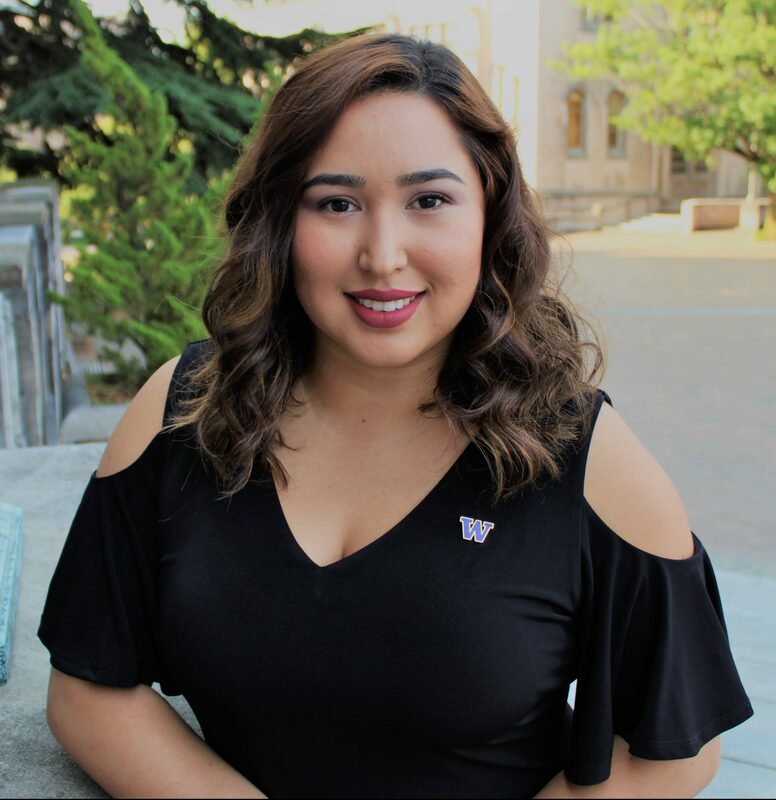 Luz participated in the College Assistance Migrant Program (CAMP) in 2003 at Central Washington University (CWU) where she received a BA Degree in Sociology and a minor in Psychology and Spanish. She served as a CAMP Peer Mentor in 2004 and has continued to stay involved and work with CAMP ever since. Luz earned her M.Ed in Counseling from Heritage University in 2010 while working as the CAMP Retention Counselor at CWU. Luz joined the UW CAMP team in March of 2011 as the Academic Advisor and then become the Director in May of 2012. Luz was born in Michoacán Mexico, and immigrated to the United States with her entire family in 1987. Luz was raised in the beautiful Yakima Valley. Luz enjoys spending time with her daughter Celeste, husband Simon, family, and friends. Andres Huante joined the CAMP team in the Summer of 2015 as the new Recruiter and Academic Adviser and now serves as the full-time Academic Adviser. He is from the small town of Lynden, WA where he has lived the majority of his life until attending the University of Washington (UW) as a Freshman in 2009. Andres earned a Bachelor of Arts degree in June 2014 and has most recently completed his Master of Education from UW in June 2015. During his leisure time, Andres enjoys eating at new restaurants, attending Husky football games, and spending time with his family and friends. Andres is excited to be working with CAMP and the Office of Minority Affairs & Diversity to support students who come from a similar background as his own. Marycarmen Becerra-Nuñez serves as our Recruiter and Adviser. She was born in San Jose, California then relocated to Washington state in 2005. Her family migrated to the United States from Nayarit, Mexico in search of new opportunities a year before she was born. She graduated from Seattle University with a Bachelors of Arts, double majoring in Sociology and Women & Gender Studies. She is currently pursuing her Masters of Education at the University of Washington Bothell. Marycarmen has a passion for serving and advocating for underrepresented students and is thrilled to be working with CAMP and the Office of Minority Affairs & Diversity. In her free time, she enjoys traveling, art-related events, and reading. 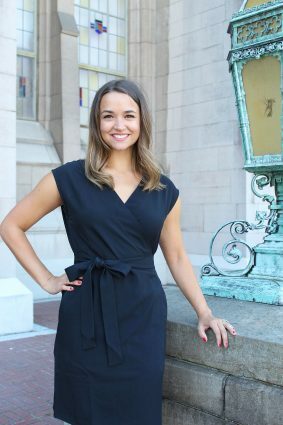 Courtney Saben is our newest addition to the CAMP team and is serving as our Program Manager for both CAMP and the Dare to Dream Summer Academies. She is from Bellingham Washington and lived there until attending the University of Washington (UW) in 2011. She received a Bachelor of Arts in Sociology and minored in Education and Diversity in 2015. After graduating from UW, Courtney moved to Baltimore Maryland to become a middle school science teacher with Teach For America. During her time in Baltimore, she also received a Master of Science in Education from Johns Hopkins University. Courtney is very passionate about educational equity especially serving underrepresented students. She is excited to join the CAMP team and the Office of Minority Affairs & Diversity. In her free time, Courtney enjoys practicing and teaching yoga, spending time with her husband Cody, and eating ice cream. Gabriel E. Gallardo was born in Purranque, Chile in 1965. His family came to the U.S. under refugee status in 1976, where they resettled in the Seattle area. Gabriel began his educational trajectory in the Seattle Public Schools at Kimball Elementary. Dr. Gallardo began his professional career in administration at the University of Washington in 1997, where he directed the Early Identification Program for Professional Studies. Since 1999 he has assumed increasing levels of responsibility within the Office of Minority Affairs and Diversity by serving in various administrative capacities. In his current position, Dr. Gallardo provides leadership for the student services and academic support programs within the Office of Minority Affairs and Diversity. Dr. Gallardo received a doctorate degree from the UW in 2000 in geography. He also received his Master’s and Bachelors from UW. He enjoys playing golf and spending time with his family.